Prof. Dr. M. Tahir Shah Civil Award was awarded (Tamgha-e-Imtiaz) by the President of Pakistan in the field of Science on the Eve of August 14, 2014 and the medal was decorated by the Governor of Khyber Pakhtunkhwa, Mr. Sardar Mehtab Amed Khan Abbasi, on March 23, 2015 in a ceremony held in the Governor house. Prof. Dr. M. Tahir Shah was selected as member of the Board of Faculty of Sciences, University of Swabi, Khyber Pakhtunkhwa for three years in July 2015. Prof. Dr. M. Tahir Shah was selected as member of the Departmental Tenure Review Committee (DTRC) of the Department of Geography, University of Peshawar in April 2015. Prof. Dr. M. Tahir Shah Got top position in the field of Earth Sciences as mentioned in the Book "Productive Scientists of Pakistan" published by the Pakistan Council of Science and Technology, Islamabad. Prof. Dr. M. Tahir Shah was selected as member of the Board of Studies of Geology, University of Poonch, Rawalakot, Azad Jummu and Kashmir in September 2014. Prof. Dr. M. Tahir Shah was selected as member of the Board of Directors of the Khyber Pakhtunkhwa Oil and Gas Company Limited (KP OGCL) in April 2014. Prof. Dr. M. Tahir Shah was selected as member of the Board of Studies of the Department of Earth Sciences, Quaid-i-Azam University, Islamabad in January 2014. Prof. Dr. Nimat Ullah Khattak was awarded with Research Productivity Allowance by Pakistan Council for Science and Technology (PCST) in April 2013. Prof. Dr. M. Tahir Shah has been appointed as member of the Ph.D. Review Committee by HEC for Khyber�Pakhtunkhwa & Balochistan Region from January 4, 2013 till further order. Dr. Irfan Ullah Jan Pakistan Academy of Sciences´ Dr. Shah Jehan Prize for young scientist under 40 for research contribution in earth sciences, complimented by a gold medal, certificate and cash prize. As focal person and Associate Editor Dr. Irfan Ullah Jan successfully up-graded the Journal of Himalayan Earth Sciences to "X" category on June, 2014. Prof. Dr. Nimat Ullah Khattak received the Pakistan Academy of Sciences (PAS) Gold Medal 2011 from the Council of the Pakistan Academy of Sciences in appreciation of his excellent research work in the field of Earth Sciences. Prof. Dr. Nimat Ullah Khattak was invited to participate and orally present a paper entitled, "Recognition of a postcollisional (Oligocene) carbonatitic activity from the Sillai Patti carbonatite complex, Malakand Agency, North West Pakistan: constraints from fission-track dating of apatite" at the International Mineralogical Association (IMA, 2010) General Meeting organized at Budapest, Hungary from August 21-27, 2010. Prof. Dr. Nimat Ullah Khattak was invited in July 2010 as a visiting professor to the University of Sistan and Baluchistan, Zahedan of the Islamic Republic of Iran by the then Vice Chancellor of the stated University for teaching a course entitled, High Temperature Geochemistry" to the M.Phil. / Ph.D. students of the University from 8-6-2010 to 22-6-2010. Prof. Dr. Nimat Ullah Khattak has received "Star Laureate 2009" award on national level in recognition of his qualifications par excellence on December 25, 2010 and was awarded with a Trophy and a Gold Medal at the "XXth Star Awards Ceremony" arranged by South Asia Publications (SAP) in the Jinnah Convention Centre, Islamabad. Name of Dr. Nimat Ullah Khattak has also been included in the SAP´s esteemed profile book entitled "GALAXIES OF WHO´s WHO IN PAKISTAN 2009". Dr. M. Asif Khan has been elected as Fellow of Pakistan Academy of Sciences (PAS), by PAS on Dec 22, 09. Dr. M. Tahir Shah has been elected as member Expert working Group on Development of Mineral Wealth for 10th Five year plan 2010-15 by the Planning Commission, Government of Pakistan in August, 2009. Dr. M. Tahir Shah has been nominated as subject expert by HEC on the Board of Governors of Centre of Excellence in Mineralogy, Quetta for three years from January, 30, 2009 and as member of the Steering Committee of the project PC-11 Source rock mapping and investigation for hydrocarbon in FATA (August, 2008). Prof Dr. M. Asif Khan was awarded Life-Time Honorary Fellowship, Geological Society of London 2008 (with complete online access to Society’s publications and subscription to Society’s Geological Bulletin). Prof Dr. M. Asif Khan has been appointed as Member, Innovation Technology Group, Planning Commission of Pakistan, Member, Academic Council, Malakand University (Nominee of Executive Director HEC) and as the Advisor-National Disaster Management Authority (2008). Dr. Irshad Ahmed had received Meraj Khalid award for the promotion of Science and Technology 2006-2007. Dr. M. Tahir Shah has been elected as the Senior Vice President of the National Geological Society of Pakistan for the year 2006 &2007. Prof. Dr. M. Tahir Shah has been selected as the member of the Board of Studies at the Centre for Pure and Applied Geology, University of Sindh, Jamshoro on June 20, 2007. Prof. Dr. M. Tahir Shah became the member of the Screening Committee for the Academic Audit of the University of Peshawar on February 17, 2007. Prof. Dr. M. Asif Khan was appointed as a member of the Board of Studies, Department of Earth Sciences, Quaid-i-Azam University, Islamabad on March 12, 2007 for a term of three years. Prof. Dr. M. Tahir Shah became the member of the Board of Faculty of Social Sciences of the Frontier Women University, Peshawar for a period of three years from March 27, 2007. The Executive Director HEC nominated Prof. Dr. M. Asif Khan, as the representative of HEC on the Board of Governors of “Sarhad University of Science & Information Technology” for a period of one year in June 2007. Prof. Dr. M. Tahir Shah had received the 17th Star Laureate award for the year 2006 by the South Asia Publications (SAP) in recognition of his credentials par excellence on June 25, 2007 and his name has been included in the SAP’s prestigious profile book titled “WHO’s WHO IN PAKISTAN”. 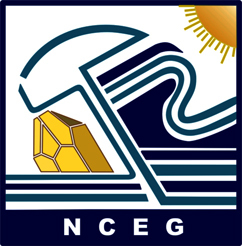 Dr. M. Sayab, Assistant Professor, NCEG, was invited in July 2006 as a visiting professor by the Universidad De Granada, Spain by Prof. Domingo Aerden, Departamento de Geodinamica, Universidada de Granada, Spain for two months to deliver lectures on his petrofabic-based methodology for regional tectonic studies, which he developed during his Ph.D. An extended fieldwork of 5 weeks to Betic-Ref mountain belt was also a part of the project. He delivered lectures on “using inclusion trails to refine P-T-d paths in the Rodinian LP/HT terrane of the Mount Isa Window, Australia”. This project was funded by the Universidada de Granada, Spain. Travel grant of Rs. 1,1400/ was awarded by Higher Education Commission for this project. Dr. Irshad Ahmad was awarded the Fulbright Post Doctoral Fellowship for 2006-2007 by the U.S Education Foundation, Pakistan. Prof. Dr. M. Tahir Shah has been elected as the Senior Vice President of the National Geological Society of Pakistan for the year 2006 &2007. Prof. Dr. M. Tahir Shah received the PAS Gold Medal 2005 from the Council of the Pakistan Academy of Sciences in recognition of his outstanding research in the field Earth Sciences. Dr. M. Asif Khan was awarded Gold Medal by the Pakistan Academy of Sciences in 2002. Dr. M. Tahir Shah was awarded Presidential award Aizaz-I-Fazilat by the President of Pakistan for the year 2001. Dr. S. Hamidullah was awarded Fulbright Fellowships for the year 2000-2001. ` The Centre was awarded the Institutional Excellence award in environmental sciences by IUCN- The World conservation Union for the year 2001. Dr. M. Tahir Shah was awarded the Environmental award by IUCN-The world Conservation Union, for the year 2001. The Centre was awarded the Institutional Excellence award in environmental sciences by IUCN- The World conservation Union for the year 2000. Dr. S. Hamidullah was awarded the Environmental award by IUCN-The world Conservation Union, for the year 2000. Dr. M. M. Asif Khan was awarded Tamgha-i-Imtiaz by the President of Pakistan in 2000. Dr. M. Tahir Shah was awarded Commonwealth Fellowships for the year 2000-2001. He spent one year in University of Leicester, UK to carry out his research on the manganese deposits of Pakistan. Dr. M. Tahir Shah was awarded Fulbright Fellowships for the year 1999-2000. He spent nine months (July,1999-March,2000) under the Fulbright fellowship in the University of Nevada, Reno, USA. Dr. M. Tahir Shah was awarded first prize in Earth Sciences for publications of 1994-95 by the National Book Foundation (NBF). Dr. S. Hamidullah was awarded first prize in Earth Sciences for publications of 1991-93 by the National Book Foundation (NBF). Dr. M. Qasim Jan was awarded a first award for outstanding research publications by the Ministry of Science and Technology on July 7, 1996. Dr. M. Qasim Jan spent nine months in 1994-1995 as a visiting Professor at the University of Oregon (USA) under a Senior Fulbright Fellowship. Dr. M. Qasim Jan was awarded Tamgha-i-Imtiaz by the President of Pakistan in 1994. Dr. M. Asif Khan was awarded Fulbright Fellowship and went to the University of Texas at Dallas (USA) in 1993. He also spent two months at the Pennsylvania State University and returned in 1994 after collaborative research and teaching. Dr. M. Qasim Jan was awarded Izaz-i-Fazeelat (President medal for excellence in teaching) in 1993. Pakistan Television Corporation, Peshawar Centre, presented special programs in 1990 on Life & Achievements of Dr. R.A. Khan Tahirkheli and Dr. M. Qasim Jan.
Dr. M.Asif Khan received second prize as Earth Scientist of the year in 1990. Dr. M. Qasim Jan received Scientist of the Year award from the National Book Council of Pakistan for 1990. Dr. R.A. Khan Tahirkheli was elected as Honorary Fellow of the Geological Society of America in 1989. Dr. M. Qasim Jan availed a Senior Fulbright Fellowship of ten months at the University of Oklahoma (USA) in 1987-1988. Dr. Hamidullah was awarded Fulbright Fellowship in 1986 and went to Princeton University (USA) for a year. Dr. M. Qasim Jan was given Earth Scientist of the year award by the National Book Council of Pakistan in 1986. Dr. R.A. Khan Tahirkheli was awarded the Medal for Academic Excellence by the University of Etinboro (USA) in 1986. Dr. R.A. Khan Tahirkheli became an Adjunct Professor in Dartmouth College (USA) in 1984. Dr. R.A. Khan Tahirkheli was awarded a McNamara Fellowship in 1984 for one year. Dr. R.A. Khan Tahirkheli was elected as Fellow of Pakistan Academy of Science in 1983. Dr. R.A. Khan Tahirkheli was appointed the Vice-Chancellor of the University of Peshawar in 1982 and served in this capacity for five years. Dr. R. A. Khan Tahirkheli was awarded Sitara-i-Imtiaz by the President of Pakistan in 1982. Dr. M. Qasim Jan was award a guest research fellowship by the Royal Society of London in 1981 for a period of three months. Dr. M. Qasim Jan was awarded gold medal for research by the Pakistan Academy of Sciences in 1980. Dr. R.A. Khan Tahirkheli was the Vice Chairman of the International lithosphere program, Himalaya and neighboring region (IUGG-IUGS), subcommittee 6, UNESCO (1978-90). Dr. R.A. Khan Tahirkheli was Chairman of Working Group on Mineral Development for 6th five year plan (1977-82). Dr. R.A. Khan Tahirkheli was awarded a nine months Senior Fulbright Fellowship (1974-75) to perform research at the US Geological Survey, National Centre at Denver (USA). Dr. R.A. Khan Tahirkheli was appointed a member of Mineral Technical Committee, Ministry of Natural Resources (1968-80).